At ISEC we know that partners and our API make a fundamental part of our business strategy. As a company focusing on developing one product to excellence and providing the most efficient services on top (read more about our offerings here) we’ve always had a clear understanding of our core business and what’s outside of it. ISEC collaborates with successful companies, such as other solution providers, niche consultancy firms and integration specialists to provide the most innovative and reliable asset management solutions that meet our clients’ needs in a rapidly changing environment. We strive towards working with partners who share our vision of real-time processing. Below is a selection of our partners, click to read more about our cooperation. [Solution partner] LeanOn is a software company specialized in providing the financial industry with business critical solutions. Secura is integrated with LeanOn’s online platform LISA. [Solution partner] Bloomberg offer information and technology solutions for the global financial markets. Bloomberg’s market data feed and static data are integrated with the Secura platform. In addition Secura has integrations with Bloomberg AIM and Bloomberg Port. [Solution partner] Assently offer tools for e-signing and e-identification to ensure legal and personal security to our clients. Assently’s solution is integrated with our responsive white labeled web solution “web2”. 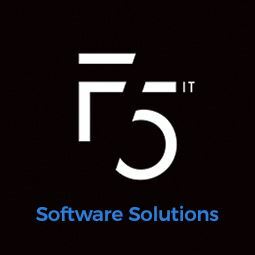 [Development partner] F5 IT is a software service company developing business critical applications and custom software solutions. F5IT is responsible for developing our white labeled web solution “web2”. [Solution partner] ISEC has a long history of being a Business partner with IBM. The Secura platform utilize software solutions from IBM which often are used by our larger customers with complex IT-infrastructure. [Solution partner] MSCI is a global and well renowned independent provider of research-driven insights and tools for institutional investors. ISEC’s risk services offering uses MSCI’s flagship product RiskMetrics RiskManager for calculations, market data and compiling regulatory reports (UCITS and AIF). [Solution partner] Trapets is a European expert company and leading provider of Market/Trading Surveillance, AML and KYC solutions. The Secura platform is integrated with Trapet’s InstantWatch for KYC, AML and trading analysis. [Development partner] Visigon offer a wide range of consulting services including business analysis, software design and development. Visigon ensures sustainable solutions for all aspects of trading, risk management and operations to banks and other financial institutions. Visigon and ISEC have a track history of delivering challenging implementation projects on time and budget. [Solution partner] Infront offers managed and hosted market data and electronic trading solutions for sell-sides. The partnership with Infront has resulted in a solution which enables our mutual clients to analyze, research and trade in one integrated workflow.